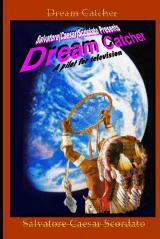 Is a reality television pilot based on real dreams. Psychologists send in to the show's Producers actual dreams from clients who would like their dreams analyzed. In the first segment of the show, the dreams are depicted in film using famous Actors and Musicians. Then in the second segment The Host and resident Dream Psychologist, in a talk show setting introduce the actual person who had the dreams and the Psychologist who recommended them to the show. They analyze and discuss all that was depicted on the show. Finally in the third segment the show comes to fruition and all the questions about the meaning of the dreams are answered. "Hot Spots", on USA Cable Networks at "The Legendary Dirt Club in Bloomfield New Jersey. The is an amazing retro show that will knock your Po-Go socks off !!! to view scene from "Dream Catcher"